Muhammad Farhan Ahmed was born in 1999 in Rawalpindi, Islamabad. 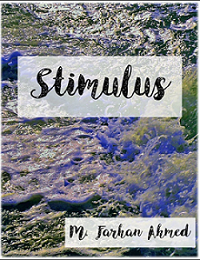 He is a published writer, who, in 2016, self-published his very first volume of poetry "Stimulus" through Lulu.com. Currently, he resides in Islamabad and works on a poetry website called Allpoetry.com, writing under the username "M. Farhan Ahmed". He writes mostly in free-style rhyme and is fond of topics based on Islamic spirituality, moral values, sentimental aspects of life, and societal issues and dilemmas.